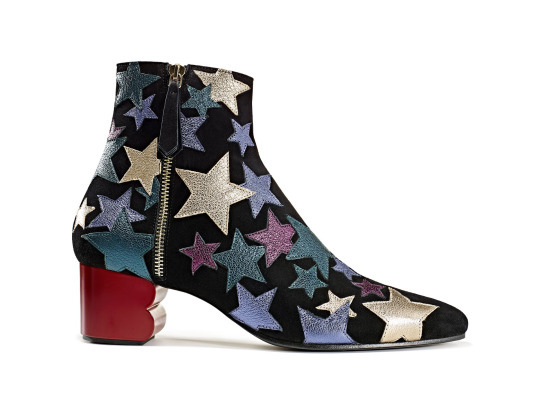 A friend of mine did somewhat taint these boots for me by declaring they had a “touch of the Gary Glitter’s” about them” but ultimately, it was true love. …but loved them all to be honest! Now, for the record, let me just state: I never ‘fell out of love’ with fashion per se, it was more a combination of guilt (about not earning an actual income of my own) and moving to my small town (in a “what’s the point? 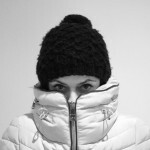 why should I bother anymore?”) which led to my downward spiral of being stuck in a fashion-rut. Oh, and having a baby at 41. A baby so unlike my dream-firstborn: a Gina Ford routine led baby (who wasn’t a puker, not snotty, robust & healthy, slept through from 9 weeks… ) and all without so much as ever even picking up a Gina Ford book! When your life, your routine and most of all, your sleep are not interrupted too much by your baby, its actually relatively easy to maintain your mind, and stay true to yourself. 4 years on, and what a different baby numero 2 was. He was tricky from the off, needing 3 feeds a night for 11 months and did I mention he had a lot of… secretions?! Eugh! What we deduced from all this in our home was, that we were simply, bloody lucky first time round! Apologies. TMI. Why I am telling you this…? During the first two years of my new baby, I stopped looking at magazines, stopped browsing in shops (as he wouldn’t nap in the buggy) and my rather decent wardrobe took a battering. We also bought a new house, so finances took an equal battering. But in Spring 2015, something magical happened: The Tommy Hilfiger collection. And BOOM! That was it. That was the light-bulb moment. 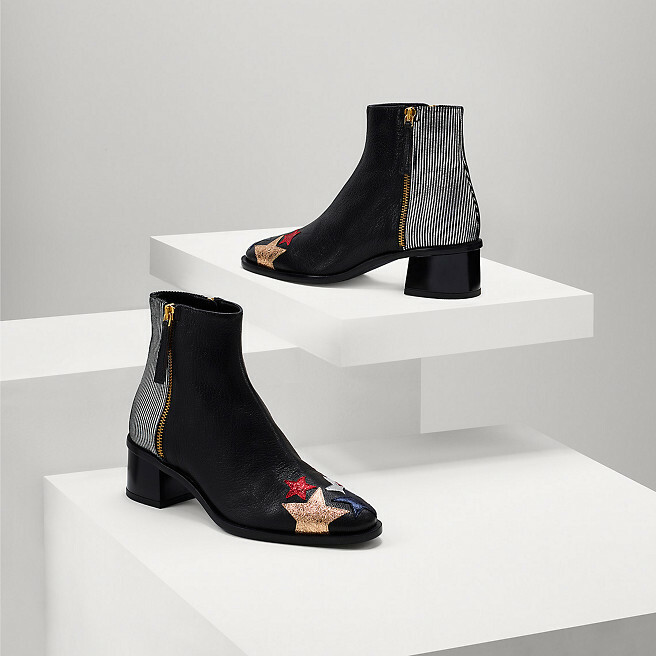 I went home and looked the boots up, which then led to magazine purchases, online searches for items, signing up to ‘New In’ newsletters from all my favourite stores and of course, this led onto finding & reading what are now my favourite fashion blogs…. Not quite making history, but here, none the less. 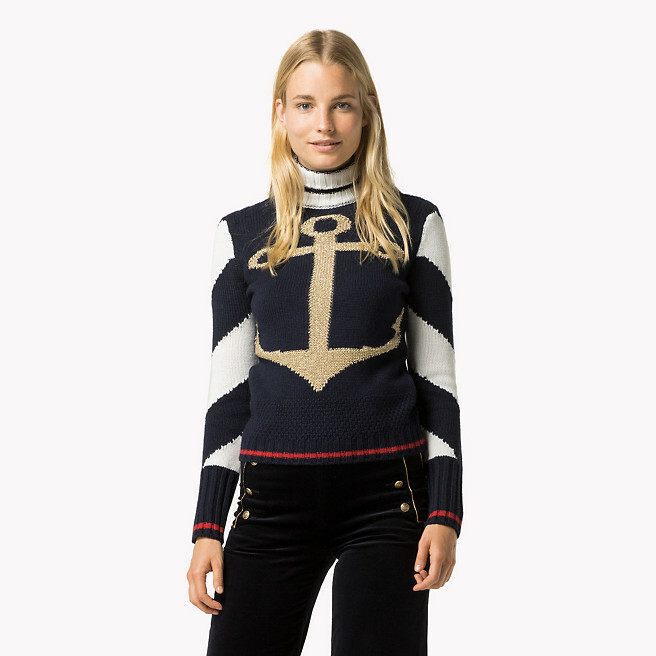 So, that is why I’ve decided to do this blog post on the current Hilfiger Collection: no one does a stripe or a star (or nautical) better than Tommy. No, this is quite simply, me, fawning and lusting over stuff I can’t afford but simply love. 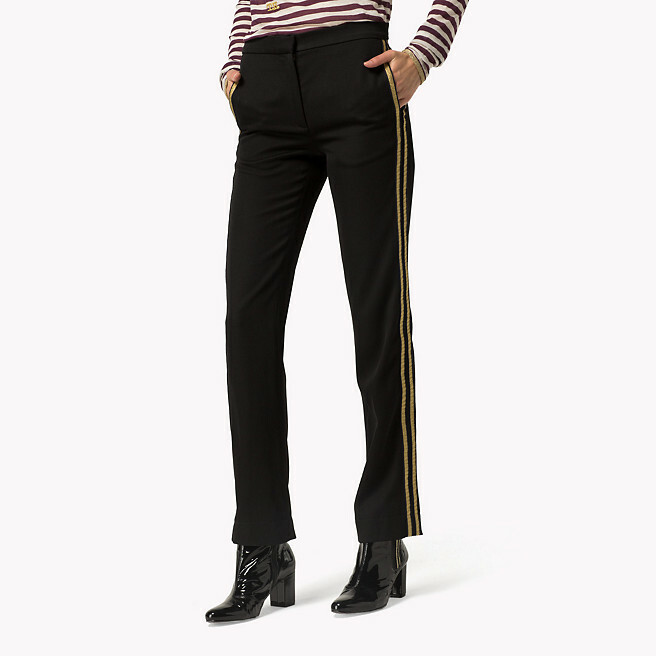 Let’s take a look at Tommy’s label ‘Hilfiger Collection’ from the Hilfiger website – just click on pics for links. Being a short-arse, I could never wear this without looking like a Victorian child: but oh my, I love every single detail on this jumpsuit and just the idea of it, so, so much. Sticking with the Velvet Marine – these shorts! 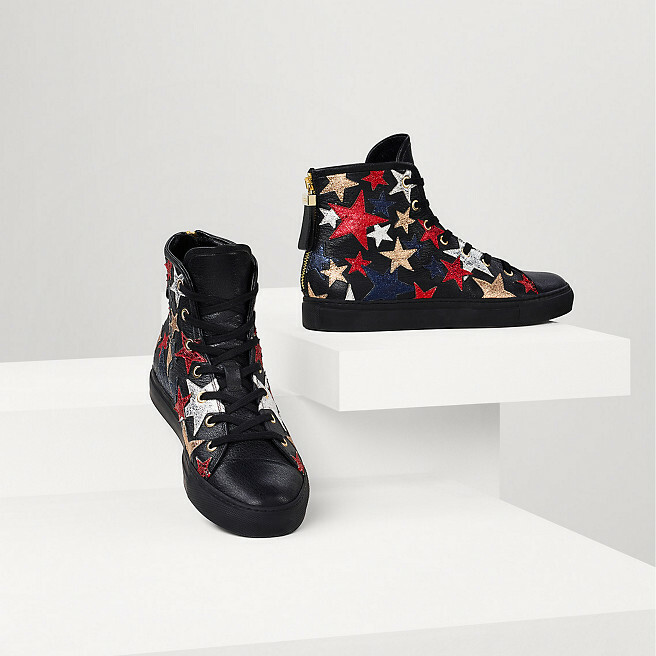 A wee £275…better for us shorties though. just £355? 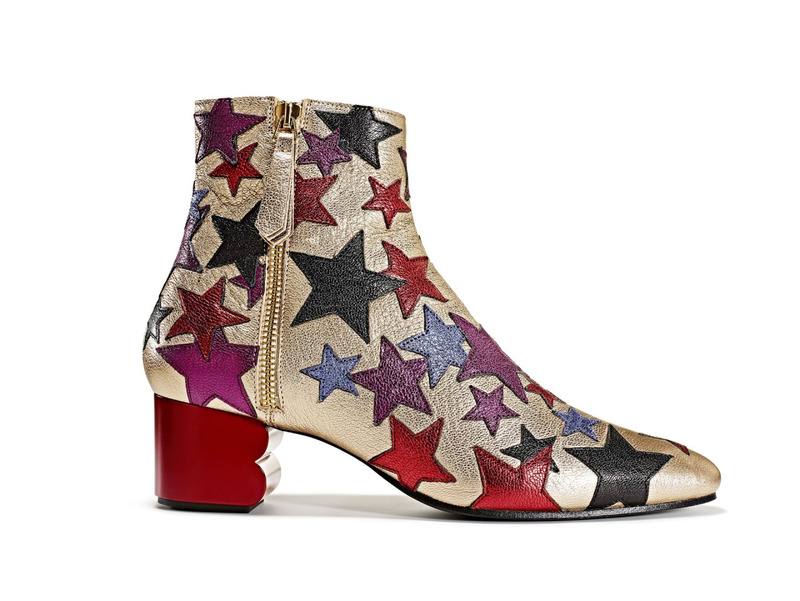 I’ll take 2 pairs! £160’s a bit steep for a tee? How about stars down one arm & stripes? 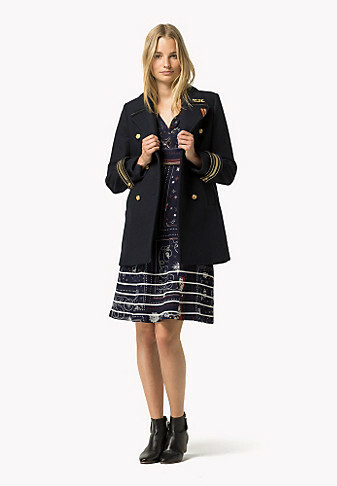 It’s not just nautical, there’s a military vibe going on to: more Naval officer perhaps? for £520, it has a red & white anchor on the back too. 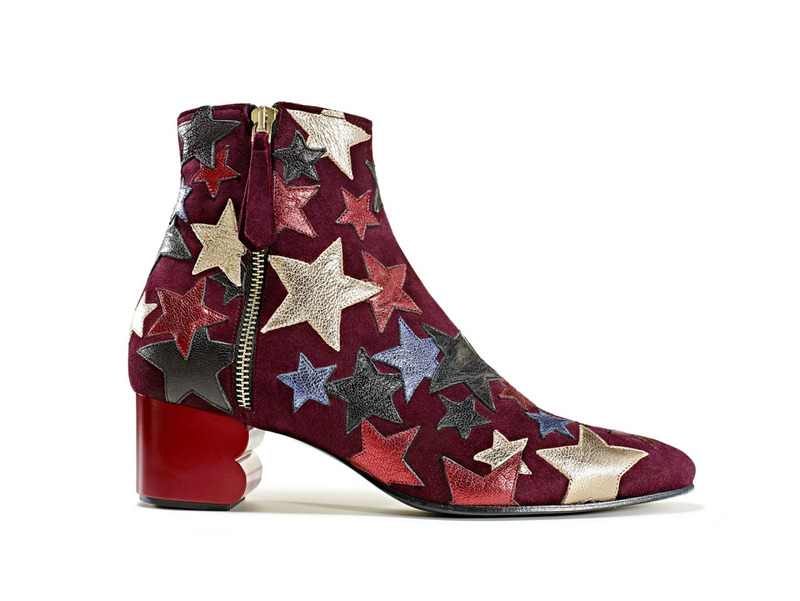 Rock’n’roll Boots £520 – unaffordable for me, even when they go in the sales! Dreamy. £435 again. 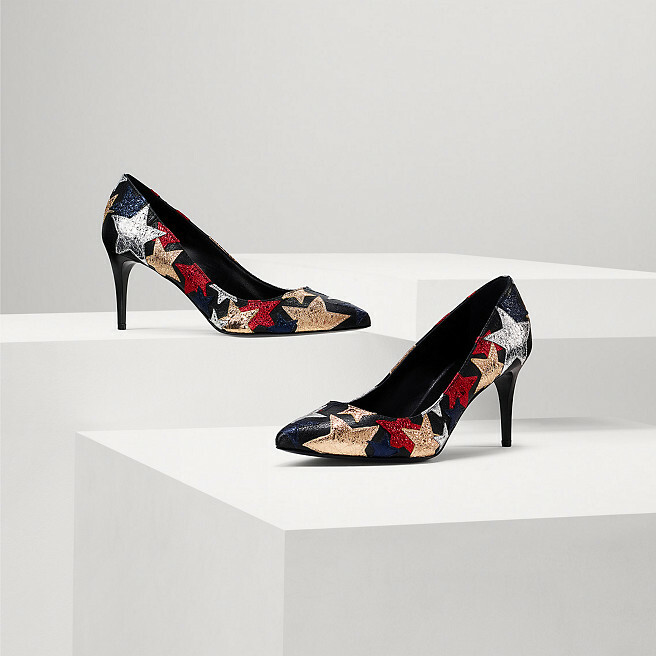 I have absolutely no need to these, but still… #wantthem! Man, I need a lotto win! Well, I need to buy a ticket & actually play the lotto for that to happen though. So there you have it (by just a couple of weeks,) before I found Gucci…there was Hilfiger. What do you think of this collection? 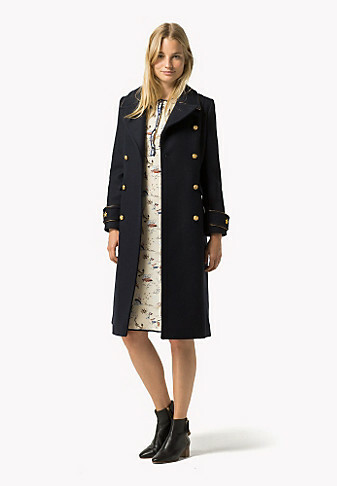 Up your street or too ‘in your face’ nautical? Will you be splashing out on any of this? 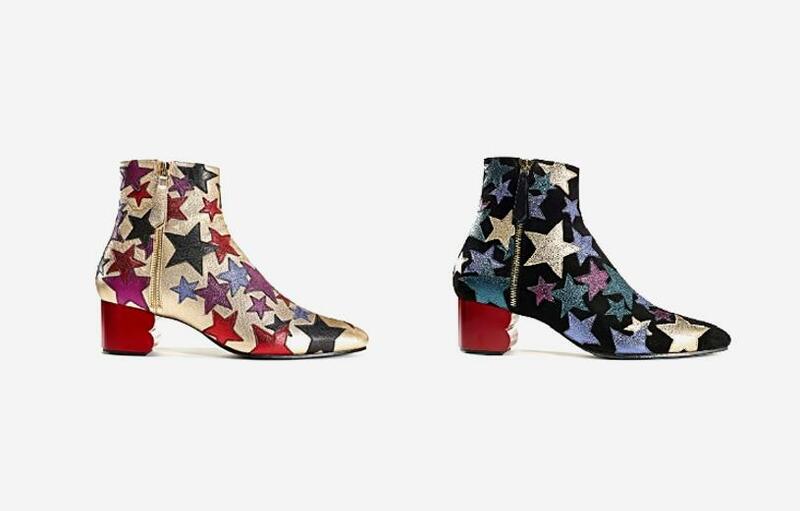 There are of course, far more affordable alternatives on the high street, but its nice to take a peek at what’s going on with the designers sometimes, right?! Back to reviewing next week – Boden under my petites microscope. Thanks for reading. As always, would love to hear your thoughts. 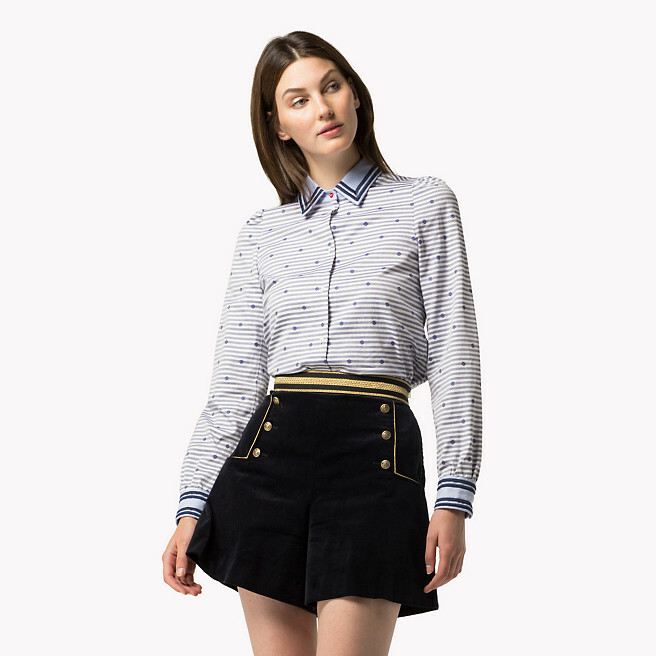 PS: You can can view the full Hilfiger Collection Label here if like me, you enjoy torturing yourself!